Just as rain spreads greenery, clothes and ornaments decorate the body, rainbow enriches the skies, scriptures like these with extracts from the life of great saints like Pu. Sadguru Yoganand Swami enlightens one's life. This scripture, "Mahamukt Sadguru Shree Yoganand Swami-nu Jivan ane Kavan" comprising of the real life events of Pu. Yoganand Swami as well as the scriptures composed by him, is a perfect recipe for attaining spiritual sanctity. This scripture was published by Pu. Shastri Hariprakashdasji Swami, and Pu. 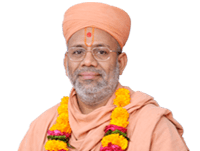 Kothari Laxminarayandasji Swami (Gadhada). The translator and the editor of this scripture is Pu. Shastri Gyanprakashdasji Swami (Gandhinagar). Pu. Shastri Swami has upheld the rich lineage tradition of composing priceless scriptures like these for the spiritual upliftment of the devotees. Pu. 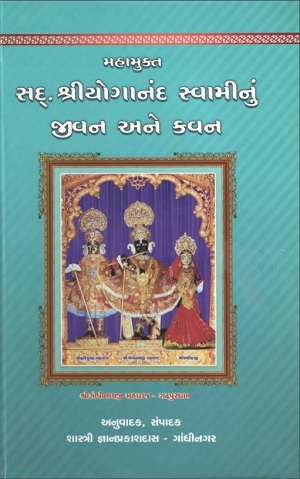 Shastri Swami enthusiastically continues to bestow our sampraday with rich literature in line with his lineage. This scripture exemplifies Pu. Yoganand Swami's unwavering faith and love for Maharaj. By reading this scripture, we're bound to tread that path as well.